Are you looking to give internship opportunities in your organization to young hopefuls, but simply don’t know where to begin the search? You don’t want to grab the first applicant that comes knocking on your door. You need to find someone who will be a customized fit for your organization to ensure that the internship will be a success. Although there are many websites that make claims to find interns in your area, the information on each applicant may be vague or misguiding. You shouldn’t have to settle when it comes to finding the best interns for what you are offering. When you know where to look, your chances of landing the best interns are increased dramatically. Here are some of the best places to find interns in Rhode Island. If you are looking to locate an intern in person, what better place to look than a career center? Although many people affiliated with a career center are looking for employment, there will be those who are interested in a good internship. College career centers are a great place to start. With the use of career/internship fairs, internship postings, and on campus recruiting, colleges typically go the distance to help students land internships. These resources combined with the right recruitment strategies can help your organization obtain the perfect intern. Take all of the guess work out of your online search for an intern with www.bridge.jobs (forgive us for the self-promotion!). Simply set up an account for free to begin looking through a myriad of options who meet your qualifications. Be sure to include information about your company in your profile. Also provide as many details about the internship that is being offered as you can. There are thousands of students registered who are looking to change their lives through an internship. Students’ profiles include personal information, skills, professional profiles, and resumes. What better way to find the right intern than through this secure virtual gold mine? Not only does this website help find interns, http://www.bridge.jobs helps organizations with all aspects of internships. Need help structuring your internship program for better results? There is plenty of useful knowledge available at your fingertips on all things internships. Social media can be useful for a lot more than celebrity gossip. Sites like LinkedIn offer so many tools to help job seekers and employers alike find just what they are looking for. Geared towards a more professional network, LinkedIn has tons of profiles complete with resumes and other useful information for those on the hunt for interns. There are even profile pictures to put a face with the credentials. If all else fails, use good old fashioned word of mouth to locate the perfect intern. Asking business associates, friends, and alumni can be a lot more effective than you may think. Now that you are in the know, it’s time to take action. 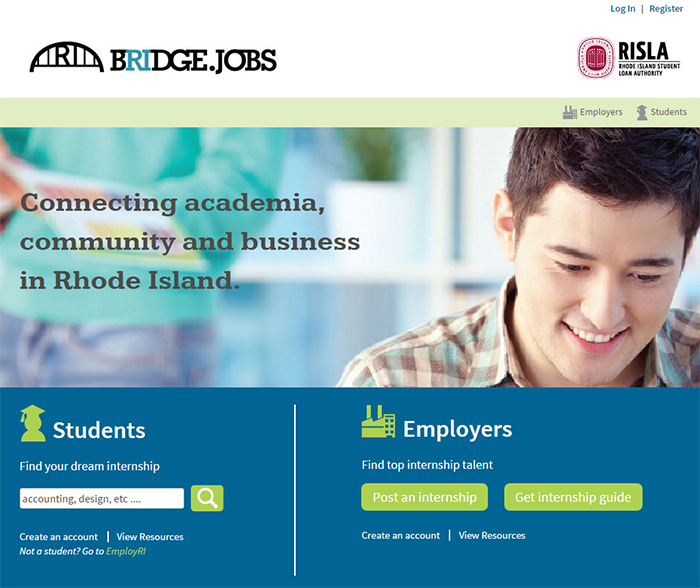 Set up your profile with www.bridge.jobs today to being the search to find interns in Rhode Island.